I remember the hours of fun drawing with crayons when I was a child and I still do it. There is some magic on the colors and the texture of the drawings that you can't get with other mediums. Informal and simple drawings, doodles and more elaborate art too. Crayons have been around for so long and I don't think they are going away, even with the pixel drawing (tablets) available these days, nothing like a crayon to express yourself, to have fun and relax. 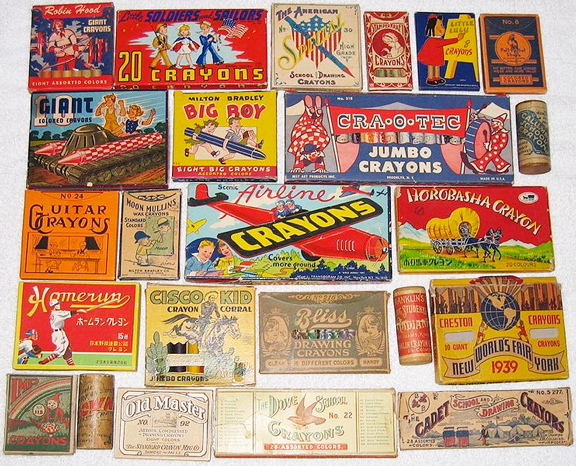 If you want to learn more about the history of the crayons, go tho this link on Wikipedia. You can also watch this video of how Crayola makes and assembles the product. To celebrate this day and remember your childhood, take out those crayons and have fun!